With all of the various electronic systems in your home and/or office, it's not good enough for products to be simply installed, they must be integrated--so they work together in harmony: "Custom Integration". 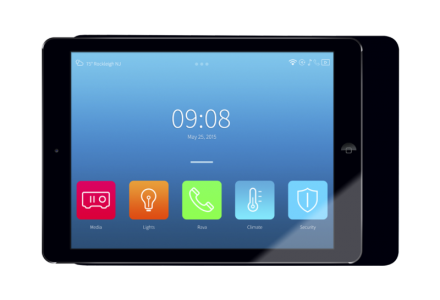 K+ Integration offers home automation systems -- to control all the audio/visual, communications, lighting, security, and climate systems for your home or office! The K+ Integration Systems team handles projects as simple as hanging a TV on a wall all the way to designing and installing a complete state-of-the-art smart home including audio, video, security, lighting, phones and climate control. Unlike most custom integrators, The K+ team can execute every aspect of a project including construction. After all, we got our start as a custom home builder. So even if we’re not your main contractor, our knowledge means time and cost savings-no poor communications between trades. We speak the language. Of course we work closely with the architect and interior designer for seamless integration. K+ also offers maintenance programs for customers who have existing systems and need support, changes, additions and tweaks to make the systems perform better-after all-these systems are supposed to enhance your lifestyle, not frustrate it! Do You Need Advice? We Know How, And Are Here To Help! Do you have a question? Want to talk to someone to weigh all the different options? We are here to help. © 2019 K+ Integration. Authorized Crestron Dealer > Home Automation Systems > Crestron Programming In Cleveland, Ohio, All Rights Reserved.